The Shadow Brokers are back with another “yard sale”, which may become the source of a new wave of attacks targeting systems running Windows. UPDATE [January 12, 2016]: The Shadow Brokers just announced two hours ago that they are ‘going dark’, along with releasing several Windows hacking tools to the public for free. 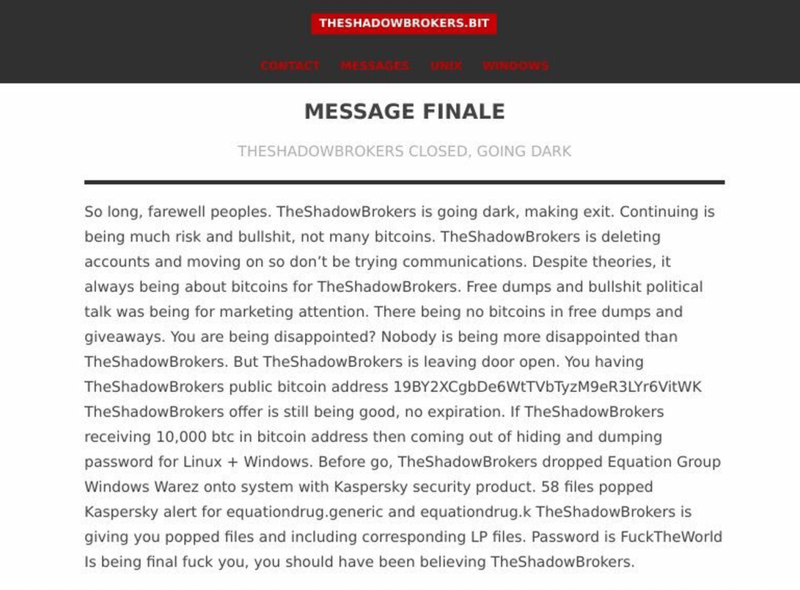 In their final goodbye note, they announce that it was always about the money (in this case, Bitcoins) and that they would only come out of hiding if their Bitcoin wallet received 10,000 BTC. At the same time, they released an archive with 58 Windows hacking tools to the public, which, fortunately, are currently detected by Kaspersky antivirus. This batch of tools can be downloaded from their website (at your own risk) and the password needed to unlock it is “fucktheworld”. For those of you new to the topic, The Shadow Brokers is a notorious threat actor or group of black-hat hackers credited with publishing exploits, vulnerabilities, and “powerful espionage tools created by the National Security Agency’s elite group of hackers” (source: Washington Post, August 2016). The Shadow Brokers’ activity is also tied to The Equation Group, another threat actor whose level of sophistication astounded even some of the most experienced malware researchers in the world. In August 2016, The Shadow Brokers sold a batch of hacking tools supposedly stolen from the NSA for 1000 Bitcoins. However, their auction was not as successful as expected. 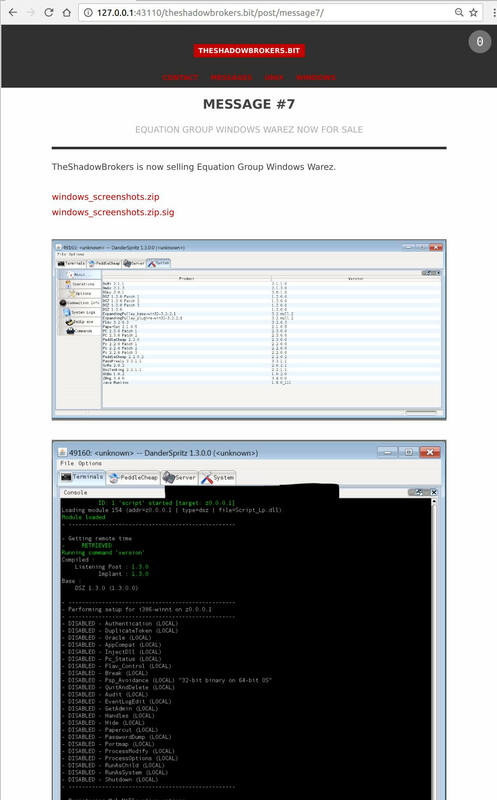 The Shadow Brokers also provide a short description of the many different tools that can be used to compromise and remotely control Windows systems after they’ve been enrolled into a central botnet. The description of these tools (which you can see in the screenshots below) clearly states how they can be applied into practice. The database put up for sale also includes different types of exploits and other tools to aimed at fuzzing Windows components. 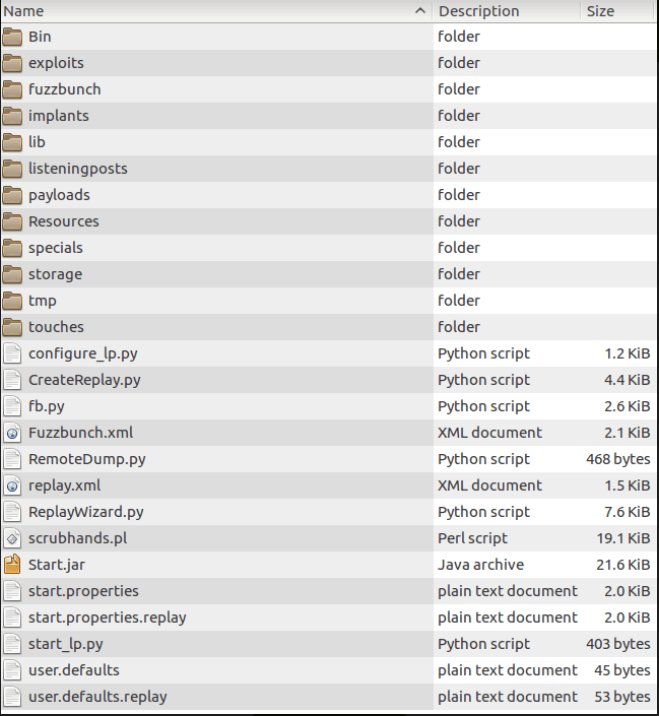 The Remote Administration (RAT) tool DanderSpritz that we see in the list also appears in several of the documents that Edward Snowden previously leaked. Now this tool, among other things, can be bought and used by cyber criminals. The tools are constantly being monitored to identify if they are used, standalone or in combination with other malicious software, and when and where than happens. While this sale could follow the path of the previous auction attempt by The Shadow Brokers, it could also mean that cyber criminals have a new set of tools they can use to launch attacks from new and unexpected angles. Fabulous… you have written informative blog. Thanks for sharing with us. you people who can’t decrypt the files youself, should not play with this tool. clearly you do not have the understanding of decryption.. which means you may not have any IT background at all..
how to decrypt it ? Great post and we should make proper security arrangement to save us from the ill effect of hacking.